Gold is protection, insurance against inflation, currency debasement, and global uncertainty. That said, there are many ways that an investor can lose money with gold -- so before your start buying precious metals -- be sure to read the guides posted below. 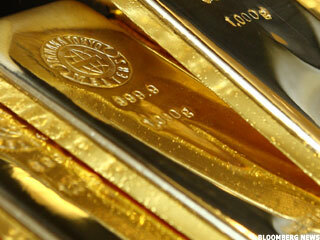 Gold hits new highs, could it go higher? Hear what Peter Hug, Global Trading Director of Kitco Metals has to say. An engineered overshoot in inflation may be what the gold market needs right now. This is the best way to hedge against "currency destruction". Gold Field's CEO Nick Holland seeks out collaborative negotiations with South Africa on regulation. If there's more inflation, Gold prices will be fine. Gold is up, but there's a reason it could run even more in 2019. Bears and bulls are in a tug-of-war in the U.S. bond market. There is euphoria in the air, and for good reason.